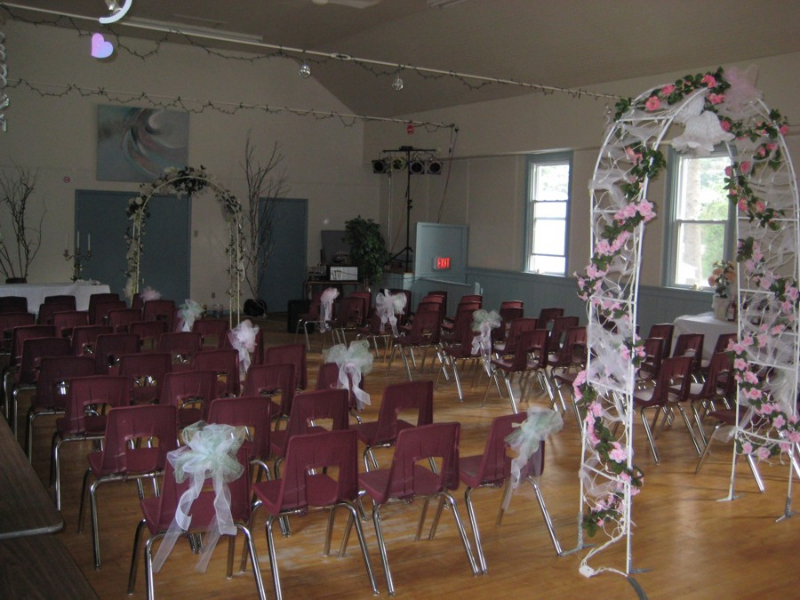 The Community Centre was erected by volunteers in 1927 and since that time it has been serving the Midhurst Community in a variety of ways: as the Township offices, as a church, as a gather point for many of the community groups, as a place for public meetings, for family celebrations including weddings, family reunions, birthday parties, etc. 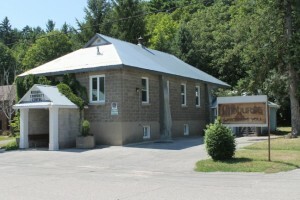 Springwater Township owns the Centre but the Centre is run by an elected volunteer Board of Management. This Board does all bookings, carries out minor repairs, does upgrades, e.g. painting and decorating and maintains a budget. The Township takes responsibility for structural, electrical and plumbing repairs. 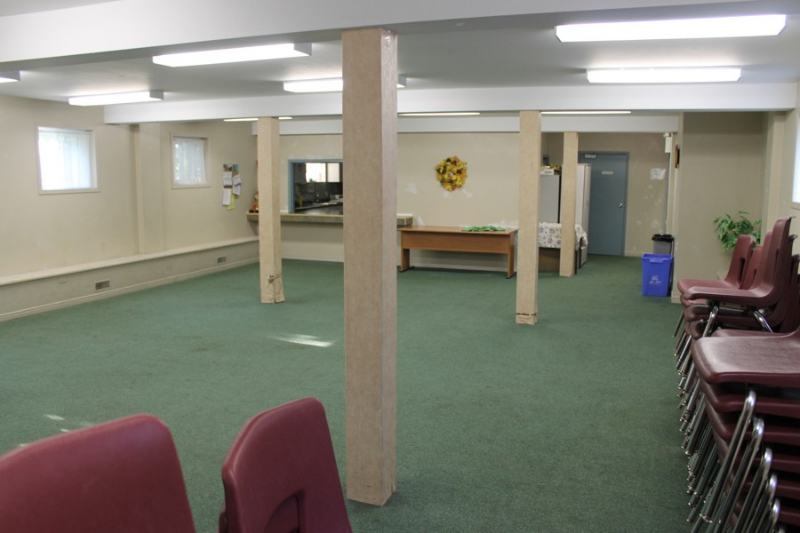 The Community Centre has two levels. 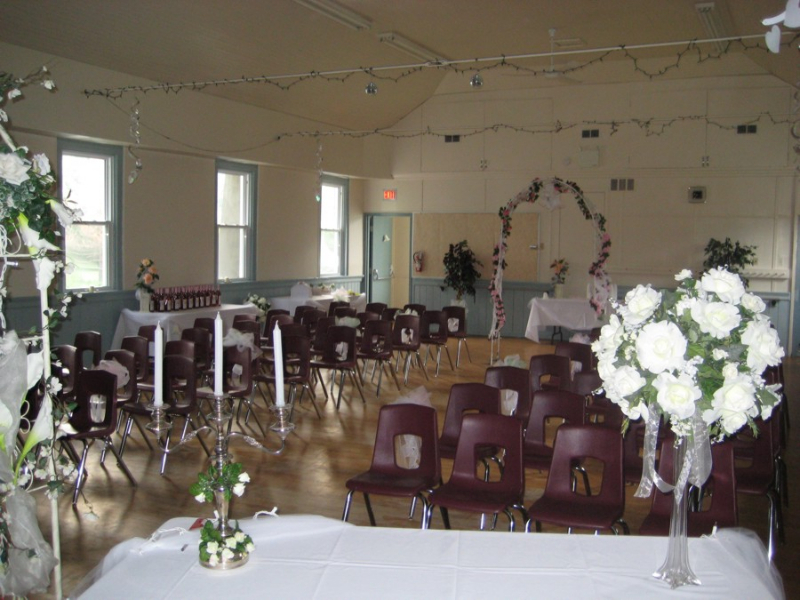 The top floor is hardwood and can accommodate 125 people. 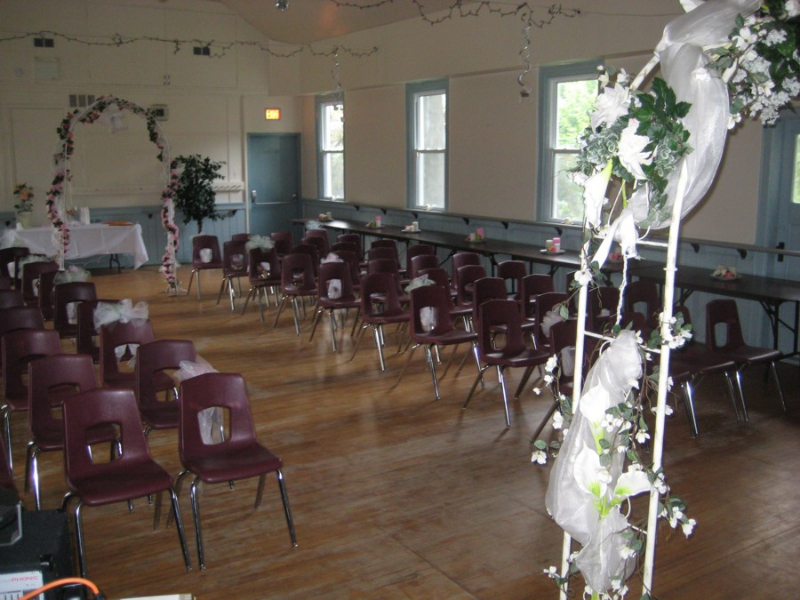 The downstairs is carpeted and can accommodate 70 people. The Centre is not wheelchair accessible. 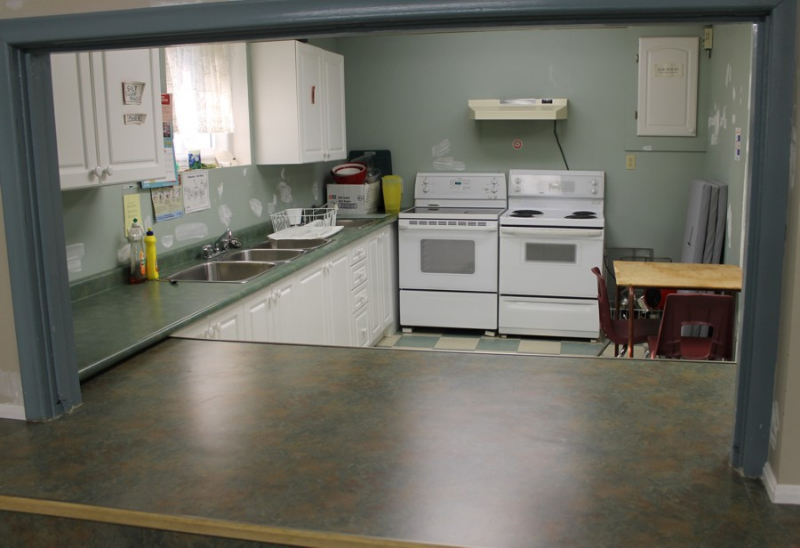 Full kitchen facilities are available including a large refrigerator, two stoves, microwave, dishwasher, plates, mugs, cutlery and coffee urn. 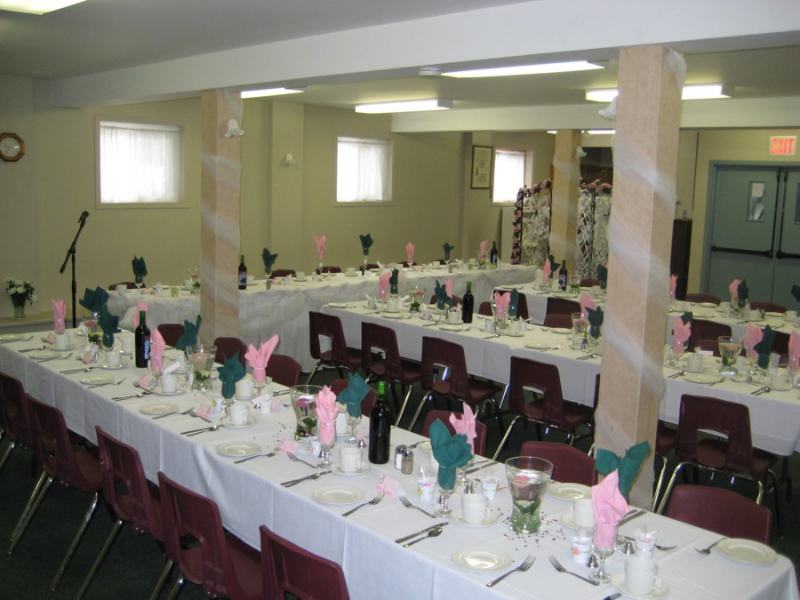 As well as the regular users listed below, the Community Centre is available for private rentals: family get-togethers, birthday parties, anniversaries but not “buck and does”. 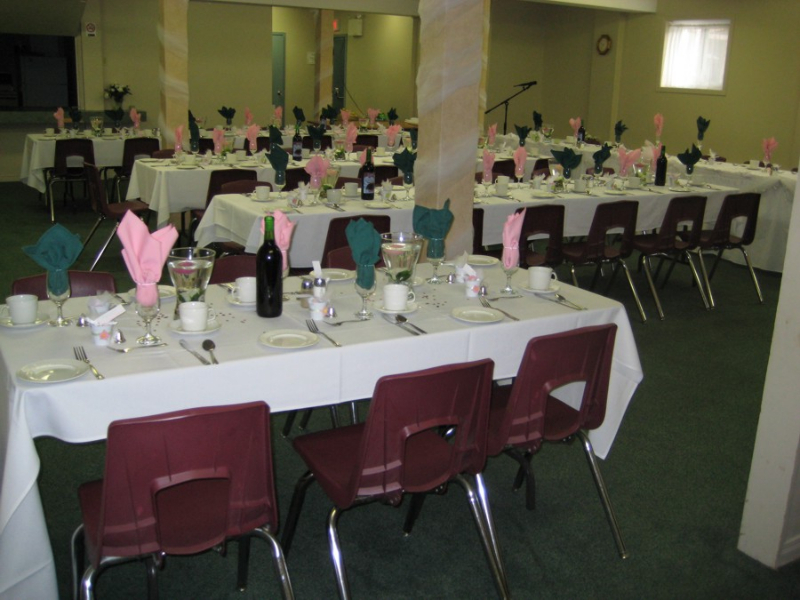 For more information call Carol at 705-725-9671. 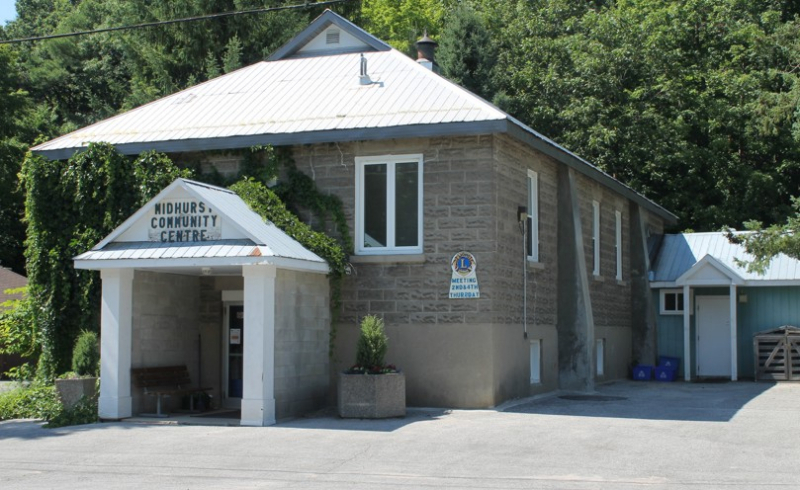 As well, please check the Springwater Township website and the Springwater Parks and Recreation calendar for additional recreation opportunities at the Centre. Bridge Club 1st & 3rd Thursdays (Sept. – May) 7:30 – 10:00 p.m.